Fans have embraced BRIT FLOYD as the world's foremost Pink Floyd tribute show. Renowned for their note-for-note perfection, impeccable harmonies, staging, lasers, Floydian animations and props, this 12-piece band creates a genuine reincarnation of the live Pink Floyd experience. 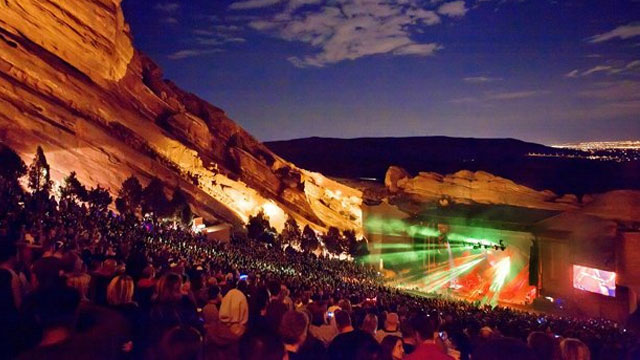 Filmed in front of a sell out audience at the legendary Red Rocks Amphitheatre in Denver, Colorado, USA on Friday 2nd August 2013, 'Brit Floyd - Live at Red Rocks' captures the magic and majesty of Pink Floyd's legendary music set against the awe-inspiring natural rocks and Colorado landscape.